“Stories” is the theme of the 2018-19 Syracuse Symposium, hosted by the Syracuse University Humanities Center in the College of Arts and Sciences (A&S). Now in its 17th year, the annual public events series explores the humanities through an array of programming, including lectures, workshops, performances and exhibits. Highlights include the 16th annual Syracuse University Human Rights Film Festival (Sept. 27-29), a mini-residency by Twin Cities artist-activist Seitu Jones (Oct. 4-6), a discussion with “Handmaid’s Tale” author Margaret Atwood (Oct. 25) and a concert by Emmy Award-winning composer and filmmaker Vân-Ánh Vanessa VÕ (Nov. 2). All events are free and open to the public, unless otherwise indicated. For more information, contact the Humanities Center at 315.443.7192 or visit humcenter.syr.edu. 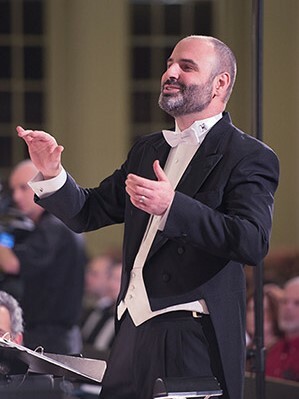 José “Peppie” Calvar leads the Hendricks Chapel Choir in the world premiere of his original composition, “Voces en Exilio,” for chorus and Caribbean percussion. Presented in conjunction with National Hispanic Heritage Month, the piece pays tribute to the victims of 2017’s Hurricane María, the worst natural disaster on record to affect Dominica and Puerto Rico. An encore performance of Calvar’s newest work, presented as part of the Dean’s Convocation at Hendricks Chapel. SUHRFF continues with an outstanding lineup of award-winning films addressing social justice issues around the globe. Visit suhrff.syr.edu for a complete schedule. Seitu Jones, the first artist-in-residence of the City of Minneapolis, discusses how food and activism flavor his artwork. 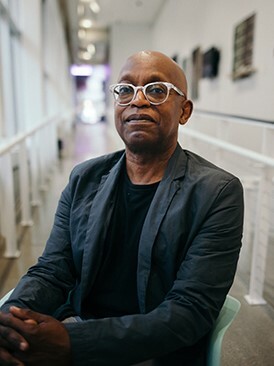 A 2017 McKnight Distinguished Artist, he has created more than 30 large-scale public works, in addition to co-founding Frogtown Farm, a certified organic farm in St. Paul. Jones leads a hands-on workshop on community-based art and the value of food. Interested parties must R.S.V.P. to ehmorr01@syr.edu by Tuesday, Sept. 25. This multimedia installation features the stories of 44 breast cancer survivors from Central New York via a series of photographic portraits, images of bare chests and experimental film. The show runs through Wednesday, Oct. 31. Nicholas Howe, associate professor of environmental studies at Williams College, discusses how spirituality shapes public discourse about sacred space. 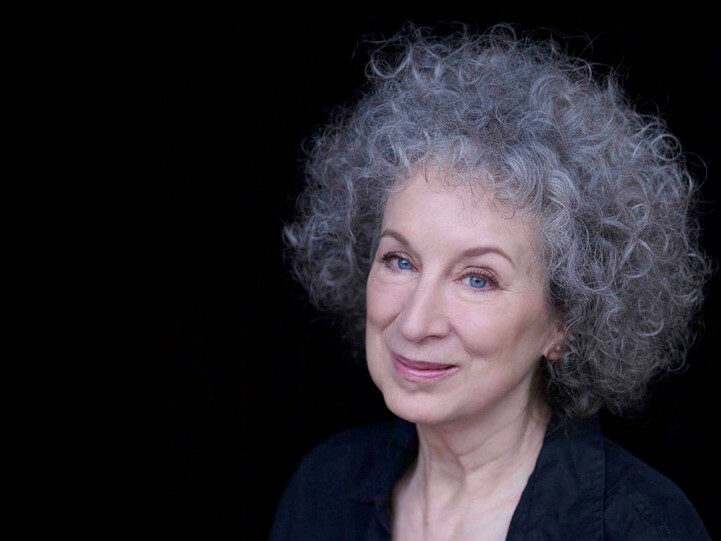 Coinciding with the popularity of “The Handmaid’s Tale” (a Hulu TV series based on her 1985 dystopian novel), Canadian writer Margaret Atwood returns to campus to discuss the importance of storytelling. (Atwood was the 2004 Jeanette K. Watson Distinguished Visiting Professor in A&S.) Dana Spiotta, associate professor of English, moderates the event, which also is part of the University Lectures series. Brooklyn-based photo and mixed-media artist Keisha Scarville unveils and discusses her latest exhibit, weaving together themes of transformation, place and the unknown. The show runs through Thursday, Dec. 13. Syracuse students, faculty and staff, as well as Light Work members may register for one-on-one portfolio reviews with Scarville. To enroll, contact Mary Lee Hodgens, associate director of Light Work, at mlhodgen@syr.edu by Monday, Oct. 15. 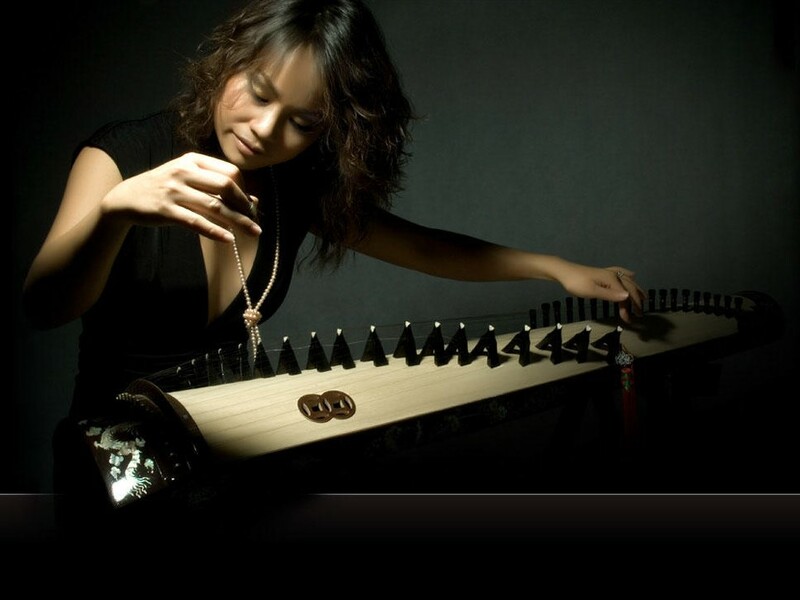 Vân-Ánh Vanessa VÕ marks the 40th anniversary of the end of the Vietnam War with her original multimedia composition, “The Odyssey.” A talented composer and multi-instrumentalist, she joins members of the Society for New Music All-Stars to honor the spirit of all refugees, past and present. Members of the Syracuse Veterans’ Writing Group help mark Veterans Day by reading original works of creative nonfiction. Bearing witness to more than 50 years of U.S. military history, they will share true stories about their lives in and out of the service. Organizers of the SUHRFF present a screening of and discussion about “Witkin & Witkin,” a 2017 documentary exploring the worlds of twin brothers Joel-Peter Witkin, a famous photographer, and Jerome Witkin, an acclaimed painter and longtime professor of art in VPA. Director Trisha Ziff and Jerome Witkin will discuss the film, following the screening. Organized and presented by the Humanities Center, Syracuse Symposium is a public humanities series that revolves around an annual theme. The Humanities Center is located in the historic Tolley Humanities Building. It serves the campus community by cultivating diverse forms of scholarship, sponsoring a broad range of programming and partnerships, and addressing enduring questions and pressing social issues.